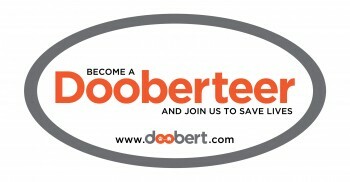 Magnet - Become a Dooberteer & save lives today! Homearrow_forward Rescue Storearrow_forwardMagnet - Become a Dooberteer & save lives today! These 4x8 magnets are great to show your support for animal rescue and you'll be able to show that you're part of the awesome Doobert team as a Dooberteer! Magnets are durable and will hold up in poor weather conditions.